Denver, Colo., Mar 1, 2018 / 04:22 pm (CNA).- As North Korea continues to develop its nuclear arsenal, should the United States contemplate a pre-emptive strike? John Bolton, former U.S. ambassador to the United Nations, says the answer is yes. 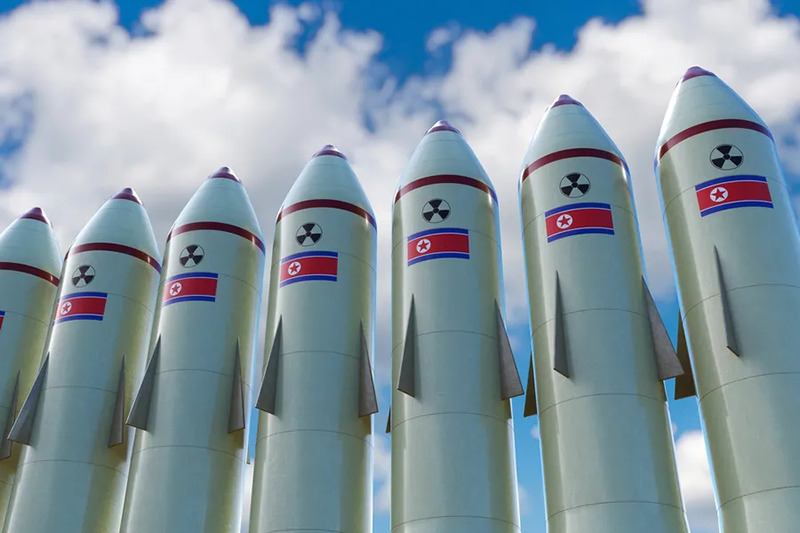 In a Wall Street Journal commentary this week, Bolton argued that because North Korea is working to finalize its ability to strike the U.S. mainland with nuclear warheads, the time to attack the rogue nation is now. Bolton argued that in a nuclear age, a volatile enemy’s possession of destructive weapons that can travel great distances in short periods of time requires a new way of thinking about pre-emptive strikes. “Necessity in the nuclear and ballistic-missile age is simply different than in the age of steam,” he wrote. Bolton is right to argue that nuclear weapons are a significant factor in evaluating military action, but wrong in his conclusion. The threat of nuclear weapons should cause us to act with more caution, not less. Those words were written in 1965. Today, more than 50 years later, the truth they contain is even more apparent. Bolton does not discuss what he means by a pre-emptive strike. But a look at the possibilities suggests that none of them meet the conditions laid out by the Church. U.S. intelligence about North Korea is far from complete. Experts believe the regime has hidden key facilities of which we are not currently aware. As a result, any attempt to completely wipe out Pyongyang’s nuclear capabilities lacks the “serious prospects of success” necessary to meet the Church’s just war criteria. A failed attempt at wiping out North Korea’s nuclear capabilities – or any attempt to carry out a more limited attack on the key known facilities – would result in serious retaliation and likely mass casualties. Bolton is right to be concerned about what comes next with North Korea. There aren’t easy answers on the Korean Peninsula. There will likely be no democracy uprising in Pyongyang. Dialogue with the country seems to be a fool’s errand, with limited prospects for success. Preemptively striking an unstable and unpredictable North Korea seems no more likely to succeed. But more talk costs very little. War with a nuclear power we know very little about might cost a great deal more. It feels unsatisfying to call for more talk, when talk, thus far, has accomplished nothing. Perhaps a pre-emptive strike might feel more satisfying. But the morality of such a decision should matter more than the temporary satisfaction of having done something. We need more creativity, more patience, and more prayer for wisdom in North Korea before anyone concludes that war is the necessary path to lasting peace. Michelle La Rosa is managing editor of Catholic News Agency. Yangon, Burma, Nov 28, 2017 / 03:50 am (CNA/EWTN News).- In an impromptu meeting on Tuesday morning, Pope Francis urged religious leaders in Burma to work toward peace, each according to the gifts and traditions of their faith. “Each one of you has their values, their wealth, and also their shortcomings. And each confession has its richness, its tradition, its wealth to give. And this can only be if we live in peace,” the Pope said Nov. 28. Peace itself is built “in the chorus of differences,” he said. On the morning of the first full day of his visit to Burma – also known as Myanmar – Nov. 27-30, Pope Francis met with religious leaders at the residence of Cardinal Charles Maung Bo of Yangon, in what was an unscheduled meeting. The meeting included 17 interreligious leaders from the Hindu, Buddhist, Jewish, Muslim, Anglican, Baptist and Catholic faiths. After a short introduction from Catholic bishop John Hsane Hgyi, a leader from each faith gave a short speech, followed by the off-the-cuff address of Pope Francis. In May, a senior United Nations envoy warned that the country was failing to stop the spread of religious violence. He stressed, however, that to be united does not require uniformity, but rather that we must “understand the richness of our ethnic religious and popular differences…and from these differences” create a dialogue. Pointing to the great geographical and natural wealth of Burma, he said they can learn from each other “as brothers,” in what ways each faith is helping to build the country. “May the Lord bless you and protect you. May his face shine upon you and show you his grace. May you discover his face and may he grant you peace,” he prayed. After the meeting, Pope Francis also met briefly with the Buddhist leader Sitagou Sayadaw before celebrating Mass in private and then continuing on to his meeting with the president. Jakarta, Indonesia, Apr 9, 2019 / 04:01 pm (CNA).- Indonesia’s Supreme Court has rejected the appeal of a Buddhist woman who was convicted of blasphemy for complaining about the volume of a local mosque’s call to worship. The court’s ruling was made March 27, and posted to its website April 8. The woman, Meliana, is of Chinese descent and lives in Tanjung Balai, about 110 miles southeast of Medan. She said in 2016 that an adhan was “too loud” and hurt her ears, according to The Jakarta Post. She made the comment in a private conversation to her neighbor, Kasini, but her words were subsequently twisted to seem like an objection to the adhan itself and spread on social media. Anti-Chinese violence flared in Tanjung Balai after Meliana’s comments were shared on social media, with her property and several Buddhist temples being set aflame. She was convicted of blasphemy, and sentenced in August 2018 to 18 months in prison. She had lost an appeal with the North Sumatra High Court before turning to the Supreme Court. Meliana’s lawyer, Ranto Sibarani, said he was surprised her conviction was upheld because he considered there wasn’t enough evidence of blasphemy. “The evidence was only a statement signed by residents. It’s strange that a statement signed by other people could be used as evidence of religious blasphemy,” Sibarani told The Jakarta Post. He said the statement letter used as evidence in the court was written six months after the incident. Sibarani intends to file a judicial review of the case. Two prominent Islamic organizations in Indonesia, Nahdlatul Ulama and Muhammadiyah, have reportedly criticized Meliana’s conviction, saying a complaint over the volume of adhans should not be considered blasphemy. Meliana was charged with blasphemy only after the local chapter of the Indonesian Ulema Council issued an opinion saying she had insulted Islam. The Islamic Defenders Front has supported her conviction. The constitution of the country officially invokes “belief in the One and Only God” and guarantees religious freedom, but strict blasphemy laws embedded in its criminal code have been criticized by national and international human rights groups. Almost all blasphemy cases in Indonesia have ended in convictions. Basuki Tjahaja Purnama, a Christian and the former governor of Jakarta, completed a two-year sentence in January on a conviction of insulting the Quran. Astana, Kazakhstan, Jan 11, 2018 / 04:28 pm (CNA/EWTN News).- Fidelity to the words of Christ makes it necessary to profess the truth about sacramental marriage, Bishop Athanasius Schneider told CNA in a recent interview. Bishop Schneider, an auxiliary bishop of Maria Santissima in Astana, was a drafter of the “Profession of the immutable truths about sacramental marriage” issued by three Kazakhstani bishops Dec. 31, 2017. 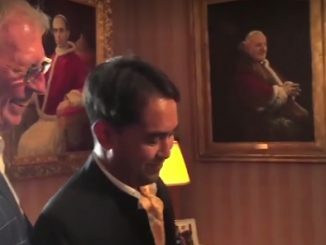 The bishops stated it is not licit to admit to sacramental communion Catholics who are divorced-and-remarried, if they are not living according to the long-standing teachings of the Church. Since the open letter was issued, several more bishops have reportedly added their names as signatories. Archbishop Luigi Negri, Archbishop Emeritus of Ferrara-Comacchio, spoke to La Nuova Bussola Quotidiana about his decision to sign the text, and Cardinal Janis Pujats, Archbishop Emeritus of Riga, has also been confirmed as a signatory. Archbishop Carlo Maria Viganò, Apostolic Nuncio Emeritus to the US, and Bishop Andreas Laun, Auxiliary Bishop Emeritus of Salzburg, have also reportedly to signed onto the Kazakhstani bishops’ profession. Bishop Laun was among the first to sign a declaration of fidelity to the Church’s unchangeable teaching and uninterrupted discipline on marriage. 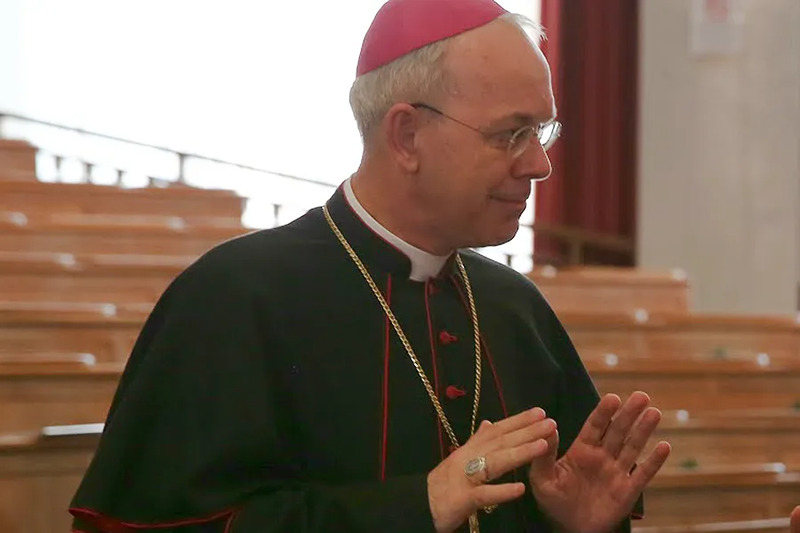 Bishop Schneider recently corresponded with CNA about the profession, discussing the occasion of the letter, the importance of prayer, and the common understanding of Church teaching and its implications among the bishops of Kazakhstan. CNA: Your excellency, would you speak to the need for the profession made by you, Archbishop Peta, and Archbishop Lenga? What occasioned its drafting? Bishop Schneider: Already for a number of years there has existed in the Church the obvious and undeniable situation of a widespread confusion regarding the sacramental discipline of those Catholics who are called “divorced and remarried”. The relevant pastoral norms of several dioceses and regional and national bishops’ conferences ultimately give permission to these Catholics to receive Holy Communion in spite of the fact that they have not the intention to stop sexual relationships with a person who is not their legitimate spouse. Such norms in practice contradict divine revelation and the infallible universal and ordinary magisterium of the absolute indissolubility of a ratified and consummated marriage. Recently there was published even in the Acta Apostolicae Sedis, the official publishing organ of the Holy See, the approval which Pope Francis gave to the pastoral norms of the bishops of the Buenos Aires region, which foresee ultimately, even though in individual cases and after a so-called discernment process, such a new sacramental praxis. However, this praxis contradicts divine revelation, which prohibits always and in every circumstances sexual acts outside a valid marriage. Everyone who still believes in the divine words of Christ and takes them seriously, must acknowledge how detrimental such norms are for the faith and for the unmistakable witness of the Church against the “plague of divorce” and against the “hardheartedness” of men towards the command of God, who demands unequivocally “Thou shall not commit adultery.” To continue to be silent in such a situation or to pretend that the danger does not exist, would mean to deny reality or to eliminate one’s own thinking. CNA: How does your recent profession relate to the appeal to prayer you issued nearly a year ago, Jan. 18, 2017? Is it right to read these two documents in light of one another? Bishop Schneider: The appeal to prayer which was made a year ago had the aim to implore for the Holy Father Pope Francis the necessary gifts of God so that he may confirm in a most unambiguous way the immutable doctrine about the indissolubility of the marriage and the relevant sacramental praxis. 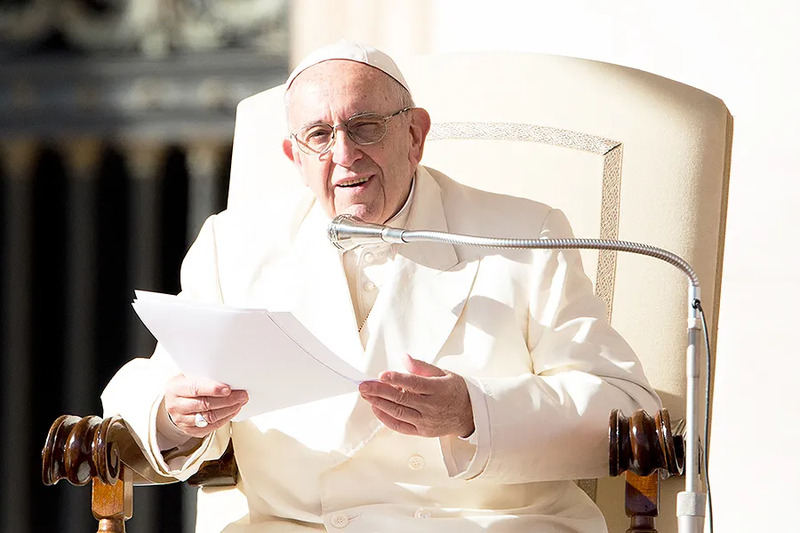 Since the Pope has not yet done so, and has even approved the above mentioned pastoral norms of the bishops of the Buenos Aires region, it was necessary to make a public profession of the immutable doctrine and praxis of the Church. But one thing is certain: no sincere prayers will be in vain. When a large number of faithful, and especially children and sick people, pray fervently, the moment will come when the Apostolic See will confirm again with clarity – as has been handed down by the infallible ordinary and universal magisterium – the immutable doctrine and sacramental praxis regarding people living in non-marital sexual relationships, i.e. people living in adultery. We have to believe in these words of Our Lord: “Will not God give justice to his elect, who cry to him day and night? Will he delay long over them?” (Lk 18:7). CNA: There are three more bishops in Kazakhstan, as well as an apostolic administrator, who have signed on to neither the profession nor the appeal to prayer. Were they invited to do so? Have they indicated a different understanding of Amoris laetitia? Bishop Schneider: The bishops and ordinaries of Kazakhstan have substantially no different understanding of Amoris laetitia. As to the manner of expressing publicly one’s own convictions we respect mutually the freedom of each one according to the decision of his own conscience. Elisha said to him, “Take bow and arrows,” and he took bow and arrows. “An arrow of victory for the LORD! An arrow of victory over Aram! Then he said to the king of Israel, “Take the arrows,” which he did. Elisha said to the king of Israel, “Beat the ground!” He beat the ground three times and stopped. Pope Benedict in Verbum Domini 42….” In the Old Testament, the preaching of the prophets vigorously challenged every kind of injustice and violence, whether collective or individual, and thus became God’s way of training his people in preparation for the gospel.”. Michelle….see any problems?